Little Bits Kits are excellent choice for kids and young enthusiasts to make designs without any special talent. 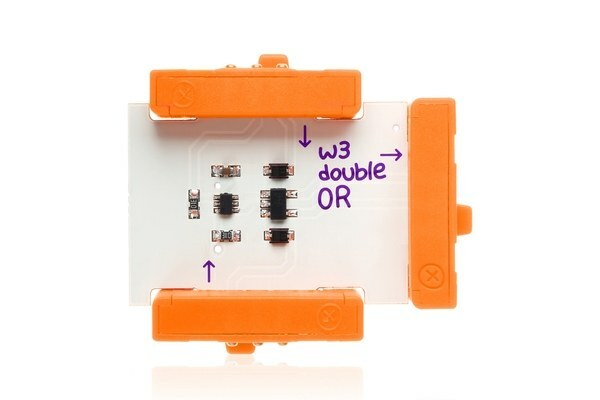 All pieces can be stacked to each other easily with its magnetic structure. 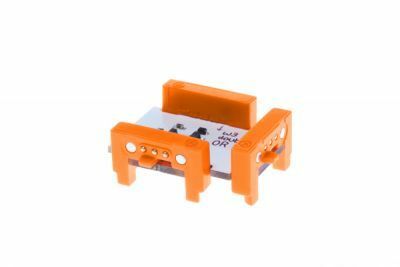 Since there will not be reverse stacking or wrong connection problem, you can learn electronics and do projects without any fear and with complacency. 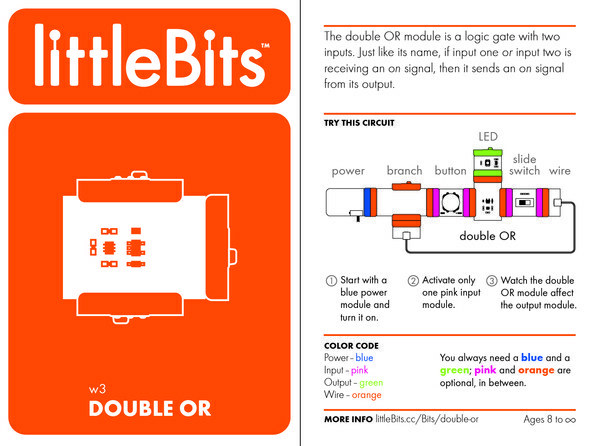 You can add different features to your project by using this modules which are not included in kit. 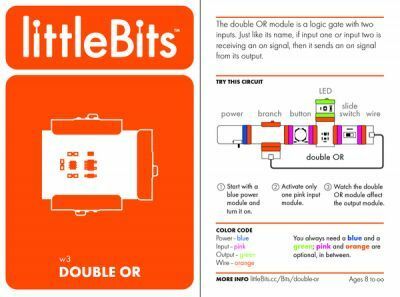 The double OR Bit is a logic gate with 2 inputs. If input 1 OR input 2 is receiving an ON signal, then it sends an ON signal from its output.